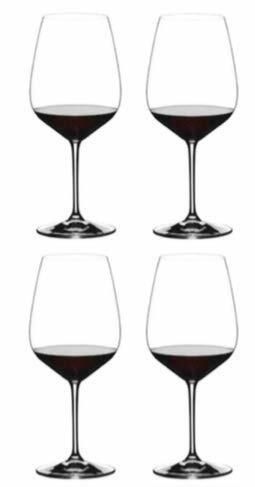 The Riedel 4X Red Wine Glass Set is made for New World Wines. The Extreme glasses derive their name from their extreme contours, this set features huge 25. oz bowls and the Extreme's exclusive "diamond" shape. All RIEDEL glasses are dishwasher safe.